From the Heart BOM - Precut & Pre-fused Applique! 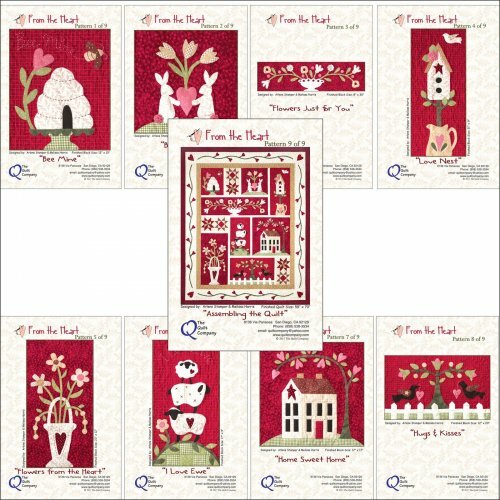 Fabric > Block-of-the-Month-Fabric > From the Heart > From the Heart BOM - Precut & Pre-fused Applique! Finished Quilt is 70” x 58"
Designed by The Quilt Company. Fabric by Maywood! 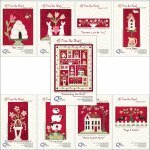 This is surely one of the "love-liest" quilts you'll ever make! There are 8 applique blocks each with its own theme. There is a "Bunny Love" block, a "Bee Mine" and even a "Hugs & Kisses" themed block! This quilt was made out of “Beautiful Basics” & "The Little Things" fabric from Maywood Studio. 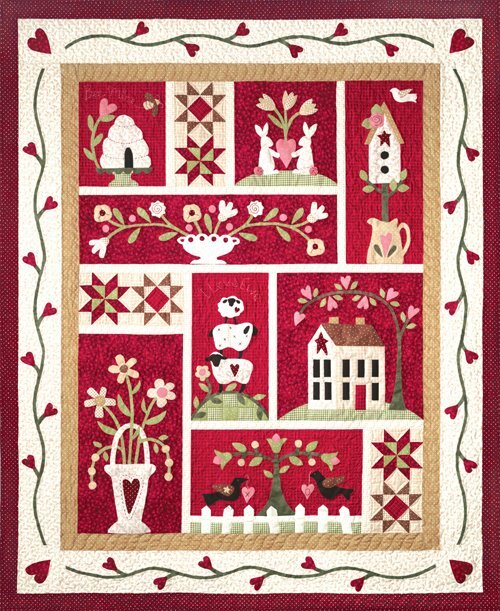 The Heart & Vine Border compliments the quilt nicely and is quick to do with fusible applique and easy to read instructions. Please note: Many of The Quilt Company projects include an accessory pack. There is no accessory pack needed for this project, per the designers.